This year the Academy Fellowship was presented to actress Dame Helen Mirren. In 2014, BAFTA's highest accolade, the Academy Fellowship, was presented to Dame Helen Mirren, in recognition of her exceptional contribution to film. John Willis, Chairman of BAFTA, described Mirren as "one of the most outstanding actresses of her generation" and exuded that her incredibly successful career is testament to the determination, dedication and skill she brings to each of her roles. 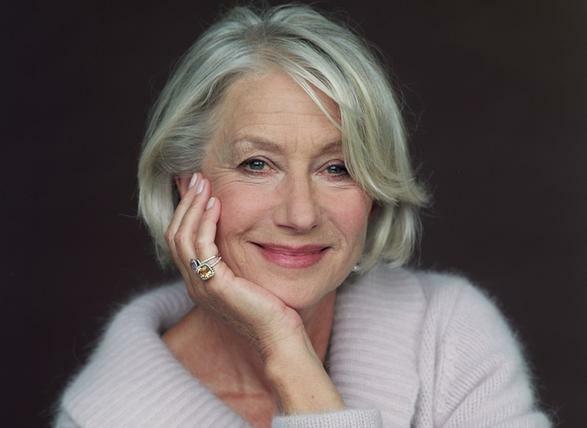 Upon hearing the news, Mirren herself said; "This is the greatest professional honour I can imagine, certainly one I never dreamt of as a schoolgirl in Westcliff-on-Sea, Essex. To join that list of legendary names is overwhelming." 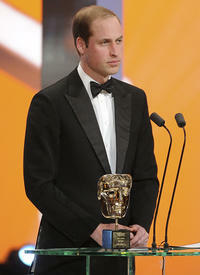 BAFTA/ Brian RitchieThe presentation was made by Academy president HRH The Duke of Cambridge at the EE British Academy Film Awards ceremony on Sunday 16 February. 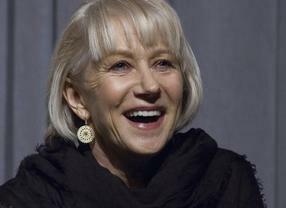 Mirren, whose film career began in the 70s, has a long history with BAFTA, receiving four BAFTA wins and a further seven BAFTA nominations. In January 2013 she was welcomed to our headquarters in London for a Life In Pictures interview during which she discussed her favourite roles, her early experiences in Hollywood and her motivations as an actress. She’s played everything from East End trophy wife to sovereign of an empire – Dame Helen Mirren is the recipient of the Academy’s highest accolade. The Fellowship is recognition of a lifetime of a certain attitude and approach to work. It really has been a lifetime, rather terrifying to realise that. Her progress towards the big screen was an altogether more halting affair – “a slow burn”, she describes it – beginning as an uncredited extra when barely out of her teens, painting Laurence Harvey’s toenails in the 1966 Cold War comedy, The Spy With A Cold Nose (the spy in question being a pedigree bulldog with a listening bug grafted inside its stomach). “I didn’t really go to the cinema very much when I was young, and I suppose the only kind of film actress I would have wanted to be then was one of the European greats, like Anna Magnani, Jeanne Moreau, Monica Vitti or, my father’s particular favourite, Simone Signoret.” After a brief, early flurry of film – Michael Powell’s Age Of Consent (1969) in which she was bravely, and memorably, naked on the Great Barrier Reef, Ken Russell’s Savage Messiah (1972) and O Lucky Man! (1973), for Lindsay Anderson – it would be a number of years before the cinema properly beckoned again. Mirren was almost in her mid-30s by the time she played, to great acclaim, Bob Hoskins’ upper-crust gangster moll in The Long Good Friday (1980). I came to The Long Good Friday with my arrogance, and ignorance of the medium, well in place. However, I still felt very insecure about film. BAFTA Los Angeles/Adrian Carr“I came into that with my arrogance, and ignorance of the medium, still well in place, blithely re-writing the script which was, I think, ultimately to the advantage of the film,” she says. “However, I still felt very insecure about film. When I was young, the film set was an incredibly masculine place in what was still a very sexist world. For a woman walking on to sets then, it was a very lonely business and you had somehow to negotiate your way through it. I really didn’t know what I was doing,” Just a handful of years after that, she was reported, rather sensationally, and still confirms it today, as believing she’d somehow “lost” her “talent” while making Cal in Ireland. “I really felt I was all at sea,” she says. “It was frightened- rabbit-in-the-headlights type of acting. I finally realised how ignorant I was about the whole thing and that I must start learning much more about the process, as it’s such a wonderful and powerful form of storytelling.” The breakthrough – that eureka moment – came, she explained, “doing Prime Suspect. It was pretty late by then, I was already into my 40s. But the experience of doing so many hours of work, with so many good directors, meant I could finally walk on those sets with a proper kind of authority.” There were six Prime Suspect miniseries spanning 12 years, concluding finally in 2003 – the same year she became a Dame in the Queen’s Birthday Honours – with Tennison, having risen to the dizzy heights of detective superintendent, perched on the edge of retirement.